Invention ideas are innovative thoughts that permeate our minds and generate a desire solve small and large scale problems. Above all, the true virtue of inventing is within our ability to harness our creativity and apply its application to real-world solutions. For many inventors, the freedom that is consistently present throughout the inventing process is where the true satisfaction transpires. There are no rules of engagement while inventing, and for many inventors, no monetary value can be placed on the joy and purpose of inventing, nor does inventing discriminate. No matter where you live or who you are, we all possess the ability to invent and inspire change. Some may think only certain people have the characteristics of an inventor. They feel inventing is solely reserved for tinkerers, scientists, engineers and makers, but as you’ll learn, there is no specific person or personality who seamlessly fits the inventing mold (no pun intended.) An “ah-ha” moment can strike at any moment. Being able to recognize the value in discovering new ways of thinking or doing, and understanding that genius can strike at the most inopportune times is critical to the inventing journey. Unexpected inventions created by uncommon inventors have been shaping the world for centuries. Nitrous oxide (N20), which is used as anesthesia, was discovered accidentally in the 1840’s, but not before Joseph Priestley, an English scientist and Humphry Davy, of the Pneumatic Institute in Bristol, England, experimented with their adaptation of the gas. In the end, the innovation of N20 as an anesthesia can be attributed to many people, including a scientist, two doctors, a medical school dropout, and even a disoriented volunteer at a medical trade show. Inventing happens when you least expect it, and often out of necessity for innovation. Inventions change lives and move the human race forward. One of the most important things that inventions do is to give birth to entirely new fields of study. Alexander Graham Bell would be in awe of our modern communication systems that all originated with his invention of the telephone. Inventors use their skills, techniques, and creativity to bring to life new products and concepts that the masses had not even considered. Breakthroughs lead to more breakthroughs and before you know a brand new field is off and running. At Davison, we know that invention fuels the American drive and keeps us leading the world with our ingenuity and hard work. Our quality of life has been affected greatly by inventions. What would the world look like now without inventions such as penicillin, robotic surgery, and the personal computer, or something as ordinary as toilet paper, invented in China, 589 AD? Where would we all be without toilet paper? Have you ever had a child ask you a simple question such as “Where did forks come from?” Most people rack their brains for an answer and simply reply: “I don’t know.” The answer is in the history of invention. So many things in modern life seem to have always been there, but, of course, that is not so. The history of an invention is often extraordinary; more extraordinary than the invention itself. What was the First Invention? As early as the Paleolithic period, mankind has been inventing and improving. 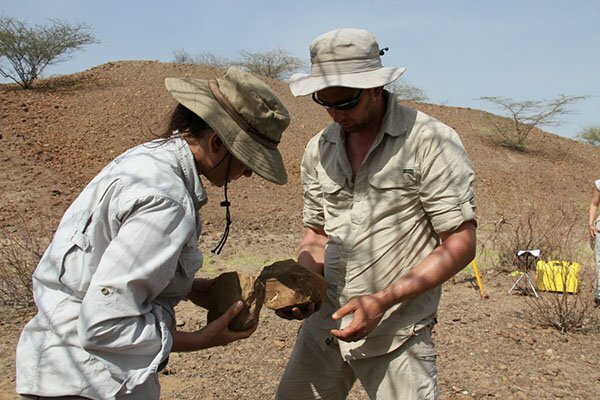 Archaeologists have discovered stone tools in modern-day Kenya believed to have been used about three million years ago. Thousands of years ago, boats were first created. 200 a thousand years ago, glue was discovered in Italy, while clothing was first invented between 83 and 170 thousand years ago. In the Democratic Republican of the Congo, harpoons were used 90 thousand years ago. Another seriously life-changing invention for early mankind. 77 thousand years ago, bedding was invented somewhere in South Africa. This might be considered a relatively simple invention, but a good night’s sleep can be life-changing. A rested mind and body can meet more challenges and discover more inventions. In the Neolithic period, around 3000 BC, papyrus was invented in Egypt. History and communication could now be shared and saved more effectively. About 1000 years later, , somewhere in Ancient Egypt, glass was first invented. Think about your life and how many times you see glass in one day! In the third century BC, the water wheel was invented and most likely changed the way many people did their trades. Paintings of men using wheelbarrows have been found in tombs in Sichuan, China; the paintings dated back to 118 ADA wheelbarrow would have significantly increased productivity for laborers. In the 9th century, during the Tang dynasty, gunpowder was invented and would change the course of history. Many weapons were invented in the 13th and 14th centuries. The less contentious fork, however, is thought to have been invented in the Eastern Roman Empire of Byzantium during the 4th century AD. Throughout history a multitude of truly great creations have given way to exciting new opportunities. Take, for example, the printing press in 1440, invented by a man named Johannes Gutenberg. This revolutionized the way people communicated, got their news, and shared their opinions to the masses. Have you heard of The Spinning Jenny? It’s not a modern dance move, but the first invention to improve the spinning wheel. James Hargreaves worked as a weaver throughout his life, and as he worked he began to formulate a plan to make his time and talents more productive. The Spinning Jenny is capable of spinning with more than one spindle at a time. An operator could spin eight threads at once by turning one wheel. Imagine how your life would be if you were 800% more efficient. 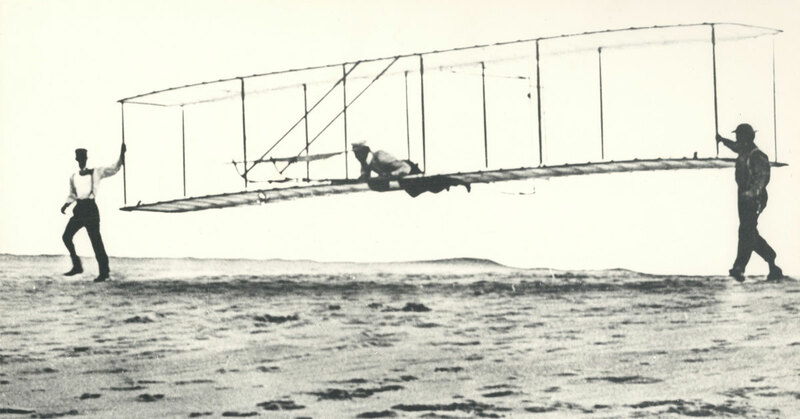 In 1903, came a fantastic invention that would open up the world to its citizens– the airplane. Humans could fly. Check out this video, from WatchMojo.com, about some amazing inventions throughout the years. We wouldn’t have all of these wonderful inventions without the brilliant and creative inventors who dreamed them. And it’s worth remembering that inventors didn’t necessarily work in complete isolation or solitary confinement. Thomas Edison, the fantastic inventor who created the light bulb, competed with Nikolas Tesla to distribute electricity to power the world. It was a hard-fought competition, later named “The War of the Currents.” To add to the intensity, Edison was Tesla’s former boss. 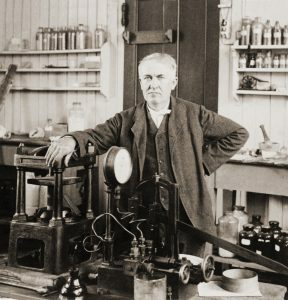 Edison brought his direct-current (DC) idea and Tesla countered with his alternating-current (AC). Who was the better inventor? This is the subject of much heated debate between scientists even today. Leonardo DaVinci’s inventions – as well as his art – have been an incredible legacy. An Italian inventor, DaVinci is known for a plethora of ideas, including a parachute and an armored car. One of the most remarkable inventions attributed to DaVinci is a machine simply called the “Flying Machine.” DaVinci loved aviation and the possibilities man being able to soar like a bird could open up for mankind. The Flying Machine had a wingspan of 33 feet. Scientists now say that while the invention would have flown, it did not contain enough power to take off. When it comes to productivity, there are perhaps no more famous inventors than Henry Ford and Steve Jobs. Henry Ford created the assembly line after realizing that there had to be a more efficient way to put together a product. His idea changed lives for decades to come, inspiring generations. When it comes to communications, you have to look to Steve Jobs. He started Apple Computer in 1976 at age 21. He was instrumental in creating smaller and smaller computers and giving people access to technology at their fingertips. An inventor needs to be a visionary; to imagine, create, and think-through ideas that have not yet been invented. He or she must generate a brand new idea or an improvement of an old concept, often by seeing an opportunity or a need, and a possibility. An inventor needs to have entrepreneurial tendencies; the drive to get your product out to the public. You will most likely be willing to tweak your product until it is perfect, whether this takes weeks, months, years, or a lifetime. You need to be a problem solver. Once a problem is identified, the problem-solver is someone with tenacity, knowledge, and the ability to think outside the box. Often, solving a problem involves thinking simply or thinking small. Innovative solutions can be elegant or even seem obvious in hindsight. A solution doesn’t need to be complicated to change the world. It may help to be a tinkerer. A tinkerer is constantly moving things, taking them apart, and rearranging things to look for flaws or improvements that can be made. At Davison, we believe that anyone can be an inventor. A stay-at-home mom is likely to be a great problem solver. Mechanics often like to tinker. There is creativity in everyone and the drive to succeed is innate; you just have to let it out. If you have all four traits of a successful inventor, that is particularly exciting; you could be well on your way to discovering the thrill of invention. The Early Invention Process was pretty simple. See a need, fill a need. See a problem, solve a problem. In 1986, the creator of Davison, inventor George Davison, had a great idea, but someone beat him to it. Why? They had more resources. This failure led to a unique light bulb moment for Davison. Why didn’t everyone have access to these same resources? For two decades, he tried and failed, and tried again until he had perfected his new idea; a better invention method. People may have thought he was wasting his time. Most early inventors were thought to be a bit mad, trying to do something that no one else had even contemplated. Could it be, however, that they were merely exhibiting genius? Women began to explore the invention process later than men. Did they wait longer or did it take longer to get accepted? If history is any indication, it took longer for women to be taken seriously. Mary Anderson invented manual windshield wipers in 1903, but no-one paid much attention. In 1917, a second female inventor came up with a model and idea for automatic windshield wipers. Again, there was not much interest in the idea. When Anderson’s patent expired in 1920, however, Chevrolet introduced windshield wipers on their vehicles and many other car companies followed suit. Today, inventions tend to be a bit different. There are always new ideas, but invention now tends to focus on how to do something better. The world already has a lightbulb, but today’s inventors look for ways to improve the lightbulb. And they have. Many times over. As life changes, new problems and needs always emerge. Older problems can sometimes make a reappearance. Modern inventors work to tackle these new problems and needs while working to create better solutions to old problems. It is no longer just geniuses and “mad men” that create. Anyone can do it. If you have kids, you will have heard of Pillow Pets. A mom saw her kid sleeping on his favorite stuffed animal and voila! A great idea was born. Jennifer Telfer changed her life and continues to make children happy with her invention. Slap bracelets? They were the inventions of teacher Stuart Anders, who came up with the idea and sold high numbers. It was an 80s fad that still endures around the world today. If you have an idea – whether it’s an innovative fashion accessory, a toy, a solution to a practical issue, or an improvement of an existing solution – now is the time to submit your invention, before someone else does. Do you see a need? Do you see a problem? Do you have an outrageous idea? Perhaps you have come up with a simple idea that you cannot believe no one else has thought of yet? You too can embark on an amazing adventure. Solve a need, fix a problem, revolutionize an industry. You can delight the world. You can change the world. You can make a difference. Take the time to explore Davison and learn more about their invention process. While there request your Free Idea Starter Guide. It’s time to show the world what you can do. Get ready to take your place in history. 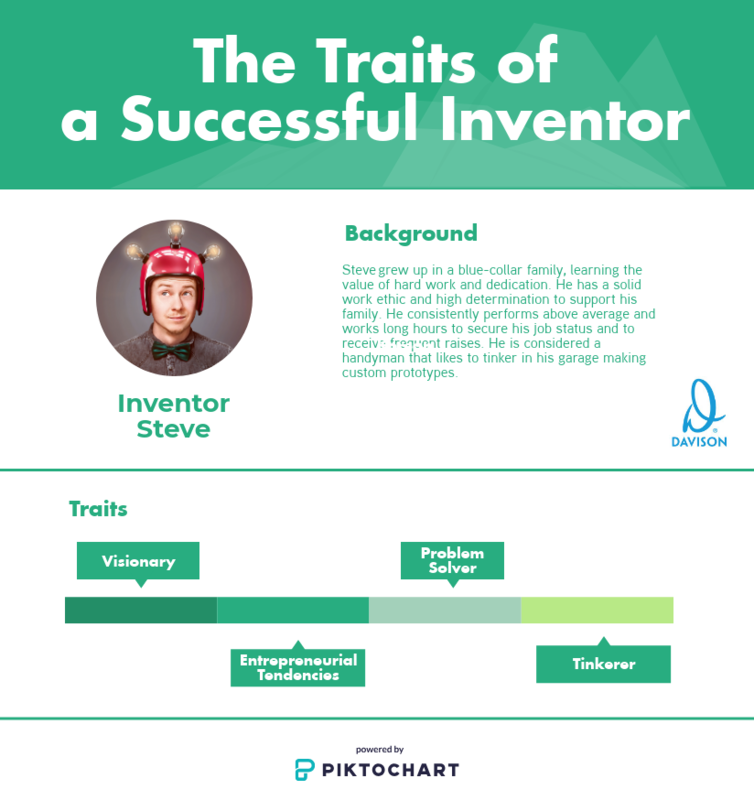 Take the first step by completing the “What Type of Inventor Are You?” quiz.